Research on the Death Penalty - A collection of research that has been done on capital punishment, sorted by category. On July 7 Columbia University Press published an important new book demonstrating for the first time in contemporary America that an almost certainly innocent man was was executed for a crime he did not commit. 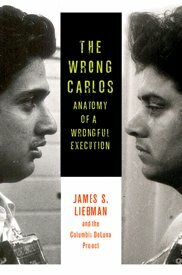 The Wrong Carlos: Anatomy of a Wrongful Execution by Prof. James Liebman (l.) explains in gripping detail how a perfect storm of errors occurred in a case everyone thought was open and shut, and an innocent man was condemned and killed. The book, which has been called both "chilling" and "wrenching," describes how the only eyewitness to a fatal knifing mistook Carlos DeLuna, a mentally disabled twenty-year-old, for a look-alike named Carlos Hernandez who had murdered before; how ill-prepared lawyers and inattentive law enforcement led jurors and judges to believe that Hernandez did not even exist; and how on December 7, 1989, DeLuna was executed in Texas, the leading death penalty state in the country. See the online companion to the book for crime-scene photos, law enforcement and court records, newspaper and TV coverage, and videotaped interviews. See Information about ordering the book and discounts. 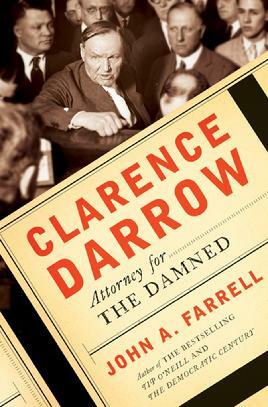 A new biography of Clarence Darrow by John A. Farrell chronicles the life of this famous American lawyer, known for his eloquence in defending unpopular clients and in securing reprieves for those condemned to death.